With its Tundra lineup, Toyota does a pretty fair job of having a large ½-ton pickup for most customers’ needs. There are three cab styles, three bed lengths, a couple of V-8 engines, trim levels ranging from basic SR up to plush Platinum and 1794—and, for good measure, a sport off-roader. That last truck is the TRD Pro, the one you’ll know by the black-accent trim and wheels, the three-stage shock absorbers, and the rumbly tuned exhaust. It’s also the Tundra that Consumer Guide® editors got to test most recently. The Tundra TRD Pro trim level is offered in both Double Cab (extended cab) and Crewmax (crew cab) body styles. Our tester was the CrewMax model. Without a single option to its name, the test truck clocked in at the base price of $45,060. 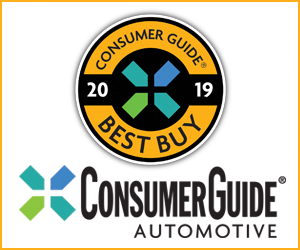 It was powered by the flex-fuel version of Toyota’s 5.7-liter V8 that can run on E85 ethanol-blend fuel, though a straight-gas version of this engine is available, too. Either way, the 5.7 makes 381 horsepower and 401 lb-ft or torque. The lone transmission/drive combination is a six-speed automatic with an electronically controlled part-time four-wheel-drive system. 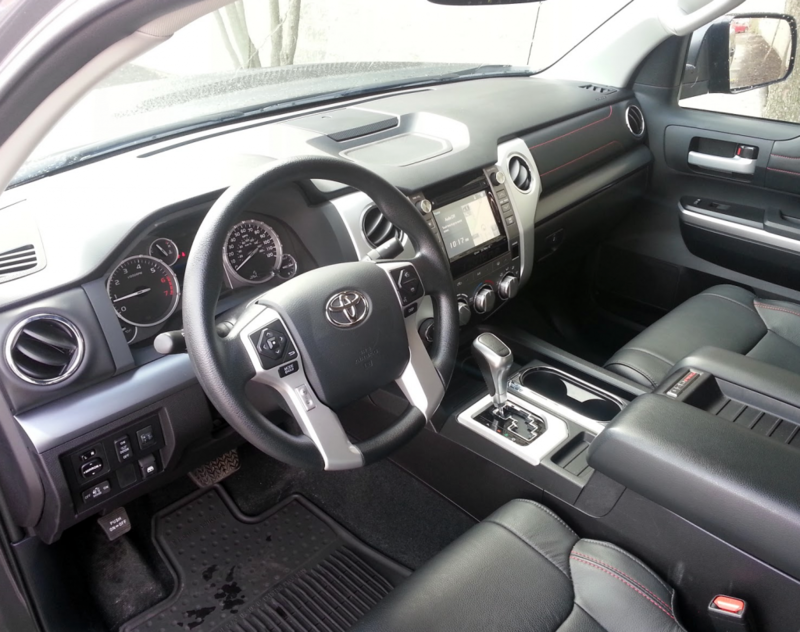 The Tundra TRD Pro is not plushly appointed, but it is roomy. These features are available on other members of the Tundra clan. What makes the TRD Pro what it is are front skid plates, black 18-inch alloy wheels on 32-inch 275/65R18 all-terrain tires, specially tuned Bilstein shocks with external reservoirs and three-stage damping, and stainless-steel dual exhaust. 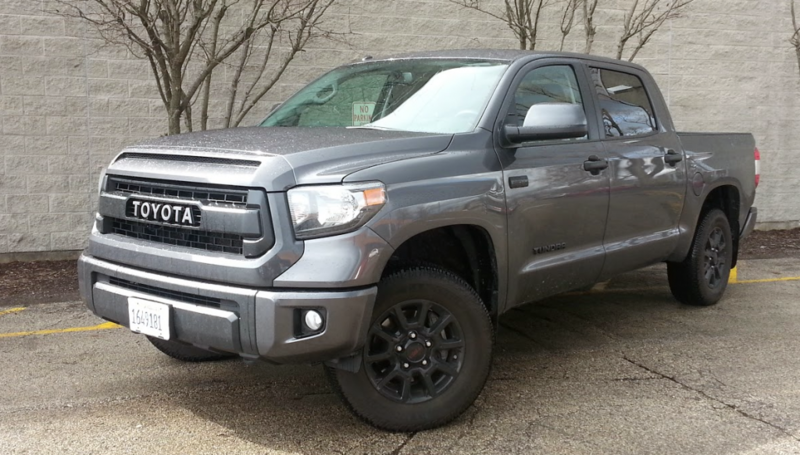 Appearance details consist of a distinct blacked-out grille, a “TRD PRO” stamping in the cargo-bed sheetmetal, black exterior badges and highlights, and black leather-trimmed front bucket seats with red contrast stitching and a TRD Pro logo. Paint choices are confined to white, dark-gray metallic, or tan. Aided by an aggressive rear axle ratio geared towards getaway, the 5.7 V8 pulls strongly off the line but still can cruise easily on the highway. 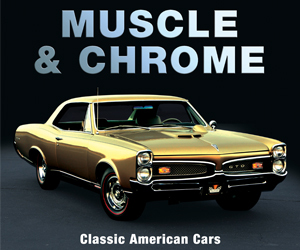 A determined accelerator tromp brings a fairly quick kickdown from the transmission—and prompts a studly bellow from the exhaust. The TRD Pro has a 10,100-pound tow rating. Whomever is paying for the gas may get a little loud, too. EPA estimates for this powerteam are just 13 mpg in the city, 17 on the highway, and 15 combined—and that’s pretty accurate from this driver’s experience. In the wake of a 108.3-mile stint with 46 percent city-type driving, he averaged 14.71 mpg. Note that the TRD is one of the Tundra models that gets a larger 38-gallon fuel tank as standard equipment for ’16. 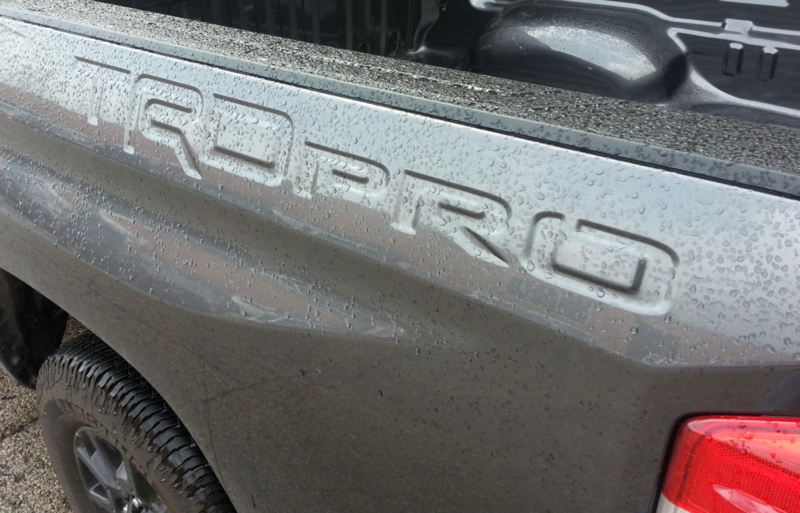 Unique stamped bedsides are part of the TRD Pro features roster. Yours truly’s two days of on-road commuting revealed a fairly well composed ride, even without a load over the leaf-spring-suspended rear end. Big-bump hits certainly register, but don’t induce sideways hops and jumps from the back. Tires are not extreme enough to make inordinate noise or make handling squirmy. There’s abundant passenger room in every direction. The back seat is easily a three-dude unit—the seat is wide and the driveline hump is low and flat. Over-the-shoulder vision is very good; even though the Tundra filled the driveway alongside this tester’s house, backing out was uncomplicated thanks to the big windows. One problem is that step-in is very high. 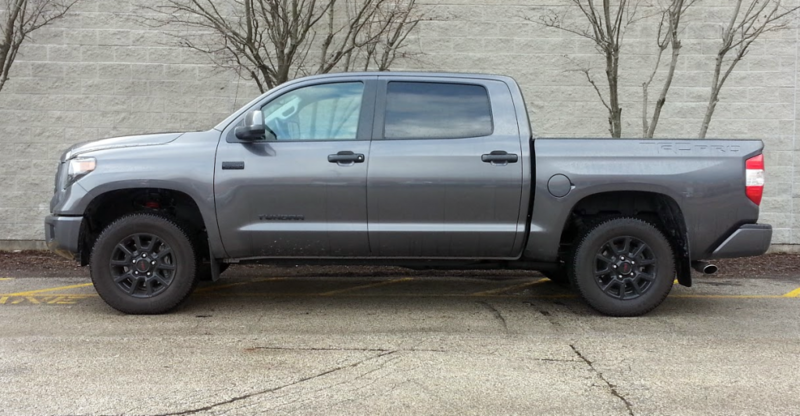 Body-hugging tube steps are available for most Tundras, the TRD included, and would be helpful. Controls are easy to reach and use. Audio operation through the seven-inch touchscreen is logical and direct. Three big, well-spaced rotary dials govern the climate-control system—a bear wearing work gloves could work them with no problem. However, inputs for an auxiliary jack and USB connection are low under the dash and somewhat hard to reach. Soft-touch areas of the interior are confined to part of the tops of the doors, armrests, and the console-box lid that doubles as an armrest. Interior storage is king-sized, starting with an ample, segmented glove box. The console box is deep and. Substantial pockets extend the full length of all four doors, and each pocket has holders for two bottles. Additional rear-seat accommodations include a pouch on the back of the front passenger seat, and a pull-down center arm rest with two cup holders. The rear seat is in a 60/40 split, with cushions that flip up to expose storage space on the floor that would rival some small-car trunks for surface area. Along with unique wheels and tires, the TRD Pro also boasts special shocks, skid plates, and other off-road oriented equipment. 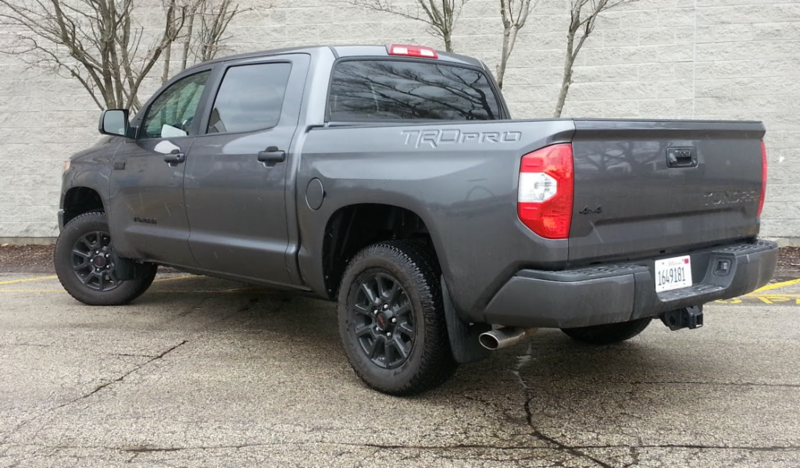 A TRD Pro may be a bit much for a truck customer who needs to go four-wheeling once in a while in snow or on unpaved roads, and Toyota makes cheaper Tundras that will do that. The TRD also might come off as a little austere for the all-in luxo-truck crowd, and, as noted, Toyota’s got something for them. A Tundra that does some things none of those other ones do just fills in all the boxes. Paired my phone no problem, why do I need Entune app? 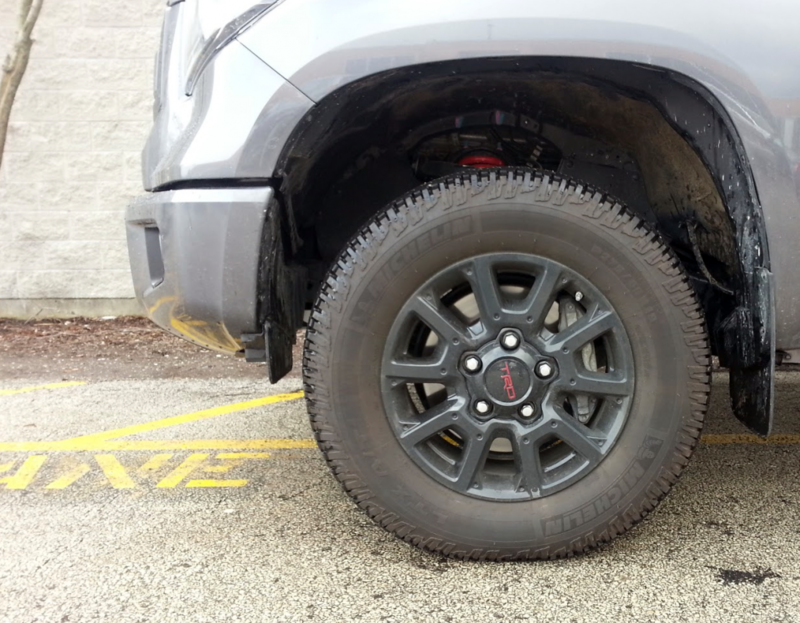 With 10.4 inches of ground clearance, the TRD Pro rides about two inches higher than other Tundra models. Written by: The Daily Drive staff on April 21, 2016.on February 1, 2019.